Divorce - the legal action resulting in the complete dissolution of a marriage – ranks as one of the most stressful events in life. Involving a knowledgeable family law attorney as soon as possible is essential to preserving your and your family’s emotional and financial well-being. The Kramer Law Firm has helped thousands of families with law issues including divorce in Orlando and throughout Florida. When a marriage is ending, everything you have and care about is on the line. We are ready to advise you, answer any legal questions you have, and make sure your rights, and the rights of your children, are fully protected. For help with divorce in Orlando, contact the Kramer Law Firm. Divorce cancels the marital status between two people, leaving both parties free to marry again. In Florida, there are different types of divorce law proceedings. These include simplified divorce, uncontested divorce, and contested divorce. The procedures in each type of divorce are quite different. In an uncontested divorce, you and your spouse agree on all divorce-related issues, such as division of assets and property, debt obligations, spousal support, and all matters associated with the responsibilities of raising any children you have had together. The cost of uncontested divorce in Orlando does not have to be expensive. At the Kramer Law Firm, we are conscious of your time and money. By representing one of the parties, our attorneys will see to it that your marriage is dissolved efficiently, inexpensively and ethically. One would think that an uncontested divorce would be a straightforward process, since you and your partner agree on the issues. Yet substantial paperwork and court filings are involved that must be handled correctly and on time. It is also important to prepare a complete and accurate marital settlement agreement that both protects your rights and sets forth an understandable roadmap for your divorce. Our Orlando family law attorneys will help you negotiate and draft a marital settlement agreement that works to protect your interests. Are children involved in your divorce? If so, you will have to submit a parenting plan to the Court. The parenting plan is Florida’s version of a child custody agreement. The plan describes in detail how you and your spouse will share and be responsible for all the daily activities and decisions involved with raising your child, including a time-sharing schedule (Florida’s term for visitation), and child support. The truth is many people who think they will be able to achieve an uncontested divorce wind up in a contested divorce. Therefore, it is important to have a skilled divorce lawyer who understands divorce laws and will help you work to achieve an uncontested divorce, but will be prepared to proceed with a contested divorce. Our family law attorneys are able to assist you with either a contested or an uncontested divorce in Orlando. Often, spouses find it impossible to agree on the issues involved in their divorce. When you and your spouse cannot resolve certain matters, this is considered a contested divorce. You will need an attorney experienced in divorce, temporary relief orders, and additional legal matters such as property and assets, debts, parenting plans, child support, and more. A contested divorce does not necessarily mean the couple must fight it out in court or at a divorce trial. Orlando divorce mediation can be an effective tool to find solutions to many points of contention, or as a foundation for a marital settlement agreement. Our divorce attorneys are dedicated to the process of mediation, and are exceptionally qualified to represent you in divorce situations requiring substantial negotiations or mediation. Our lawyers are also ready to advocate for you in the courtroom and will be prepared for a divorce trial, should negotiations fail. In all cases of complex or contested divorce, the Kramer Law Firm is ready and able to apply our extensive courtroom experience to fight for your best interests in court. 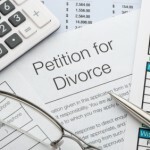 Lawyers refer to divorce cases where these and other complicating legal issues are present as “complex divorces.” The Orlando divorce lawyers at the Kramer Law Firm have experience handling divorce cases that encompass any range of complicating issues. Some divorce cases may involve other legal actions or cases. There are many different scenarios, but some of the most common are assault, battery, business disputes, and fraud. These other legal issues or cases may either be consolidated into your divorce or may proceed as a separate and distinct case. These other legal issues may involve legal questions outside the scope and expertise of the average divorce lawyer. Because we are a full-service law firm, we have lawyers ready to help you with both your divorce case and any other legal action or case related or unrelated to your divorce. Divorce in Orlando, especially complex divorce, can involve many different areas of the law. Some law firms will only handle certain types of cases. Our attorneys are highly skilled in an expanse of legal matters. We also handle estate planning, civil litigation, business law, bankruptcy, criminal defense, foreclosure defense, and personal injury cases. Our attorneys have seen the emotional and financial distress that divorcing families experience. We are here to understand and protect your legal interests and goals for you and your children. Each of our attorneys excel in applying the law and their knowledge to bring about the most efficient and effective solutions, so you can move on with your lives with clarity and purpose. If you are struggling with divorce in Orlando, we are here for you. Confidence and trust in your attorney are essential in divorce matters. 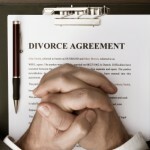 Make certain the attorney you choose is experienced in Florida divorce law and every associated legal uncertainty. Contact us for comprehensive counsel on divorce in Orlando. With our broad perspective, we will protect your rights with meticulous care. 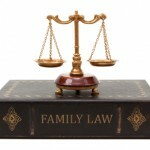 Please visit our Video Channel and Free Resources for valuable information about Florida divorce and family law.